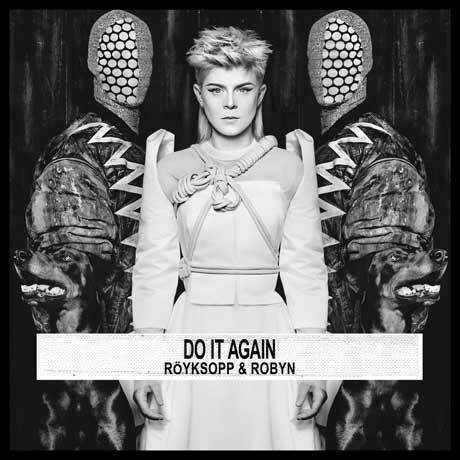 Röyksopp and Robyn's previous team-up resulted in the incredible "The Girl and the Robot," so it was kind of a given that their collaborative EP/mini-album Do It Again would be excellent. The surprise, however, is the songs themselves. The EP is bookended by dual ten-minute epics: opener "Monument" is a grooving meditation in which Robyn sings "this will be my monument, this will be a beacon when I'm gone" as snippets of her arpeggiating voice lead to the drum fills and pensive saxophone that end the song; closer "Inside The Idle Hour Club" blossoms slowly into a swirling, Steve Reich-ian piece that, although it eschews the typical pop structures of Röyksopp and Robyn's music, is pretty enough that it should still please listeners. It's new stuff for both artists, but the experiments pay off. "Sayit" evokes Kraftwerk's "Boing Boom Tschak" and finds Robyn conversing with, yes, a robot, while the triumphant title track fulfills the "moment" promised by "Monument" as it commands listeners to "wait for the build-up and then do it again." As power-ballad "Every Little Thing" leads "Inside The Idle Hour Club" and to the EP's end, Röyksopp and Robyn have not only traversed new territory, they've made it their own.